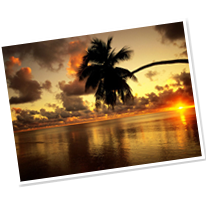 Go CookIslands is a local team based right here on Rarotonga. We have the local knowledge and the local contacts to enable the right information at the right price. 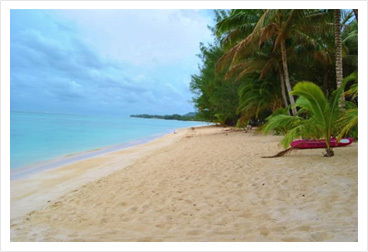 You can have full confidence that we are located on Rarotonga and not based at an office offshore , so if you need accommodation and vehicle hire , then you are dealing with a real person who is here to help. The realization of your holiday is fully appreciated when you have finally arrived at your chosen resort. Here you will have the attentive staff wait on your every wish. 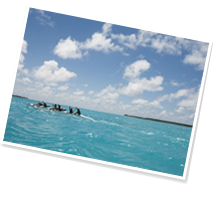 Founded in 2009- Go Cook Islands has quickly established itself in the accommodation sector. We have grown from just over 5 properties to over 40+ and still growing. It is because we work hard towards initialling taking the reservation to seeing it all the way through. We are able to organise transfers for your arrival and departure or if you are interested in Renting a Cook Islands Car we can arrange to have this at the airport for your arrival. Go Cook Islands is a locally owned and operated company in Rarotonga ensuring that we have inspected and verified that the properties we list and offer to our clients are clean and properly represented. We in fact take the guess work out of the uncertainty of booking a holiday home or resort on the Island. With Go Cook Islands located right in Rarotonga and with the relationships that we have built with many of the owners of both holiday homes and hotels we can ensure you have the best rates for both accommodation and car hire. 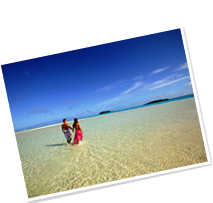 Go Cook Islands runs a turnkey operation set in place with the owners of the holiday homes and our company. We can accurately indicate if there is availability normally within 24hrs and follow that up with our simple booking procedure. 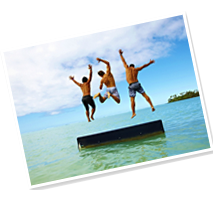 We also ensure that each property meets our Go Cook Islands standard. your arrival. After we have processed your holiday booking form we send through your itinerary/receipt outlining all of your booking information and relative charges along with either your transfer information or car rental information if you were leaning that way. We try and keep things as simple as possible that way we have a better chance in securing your accommodation for you and your family. If you were wondering about our cancellation policy this can be located right on the website. 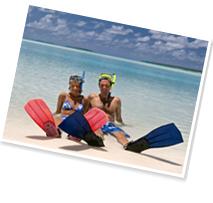 Our Go Cook Islands cancellation policy is “any cancellations within 46 days of travel are a full refund less a $50.00 admin fee”. Our cancellation policy is in place to cover other cancellation polices that we must adhere too from all the accommodation options we offer. yOver the past 3 years we have published our very own Go Cook islands voucher booklet that is packed full of savings and discounts around the Island. This has been a big success for us from initially have about 14 business marketing with us 28+ with this year’s edition. The booklet can be downloaded directly off our website or can be found at the Tourism office in town, with many of the hotels around the island and also if you are receiving your transfer with Cook Islands tours the team there will also hand them out to you. Overall we have worked extremely hard to offer our guests the best possible experience and holiday. We look forward to assisting you with your holiday choices in the near future! Booking process is smooth and pain free, once we have located the appropriate holiday home or resort we send you through our Go Cook Islands booking form that we kindly ask you to fill in and send back to us. Once we have our holiday booking form we lock in your booking dates and process a 50% deposit with the balance to be paid 45 days before your arrival. After we have processed your holiday booking form we send through your itinerary/receipt outlining all of your booking information and relative charges along with either your transfer information or car rental information if you were leaning that way. We try and keep things as simple as possible that way we have a better chance in securing your accommodation for you and your family. Last month, I came back from a long 15days holiday tour at Rarotonga – the most crowded Island of Cook Islands. Before booking our air tickets, we scrutinized about the place and the accommodation for our staying. We finally booked Go Cook Islands because of the luxurious facilities they were offering within our budget. Well… we had extremely enjoyable time out there – the house was very comfortable, very modern outlook with excellent living facilities. 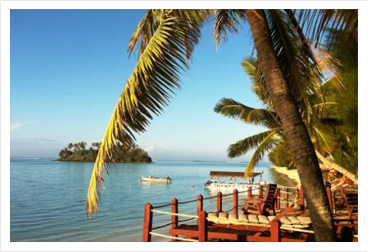 I would definitely recommend GoCook Islands to all tourists planning to visit Rarotonga! I went along with my family and after poring over the entire area along with the accommodation facilities, I decided to book the most luxurious resort for our next one week stay at Rarotonga. We had a great family time there – deluxe rooms, comfortable living and excellent facilities made our vacation extremely pleasant. GoCook Islands definitely rocks!